Below you can view all the homes for sale in the Brookwood Park subdivision located in Tucker Georgia. 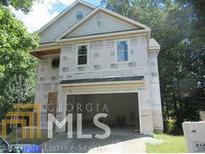 Listings in Brookwood Park are updated daily from data we receive from the Atlanta multiple listing service. To learn more about any of these homes or to receive custom notifications when a new property is listed for sale in Brookwood Park, give us a call at 404-998-4113. Lots Of Awesome Wood Work Inside Already! Hurry!! ! MLS#6538994. Keller Williams Realty Atl Part. Don'T Look Any Further, Your Dream House Awaits You! MLS#6113496. Must Sell Realty, Inc.. Brick Front Beauty In Brookwood Park * Newer Roof * Newer Main Level Hvac * 2 Story Foyer * Formal Dining Room * Cathedral Ceiling * Fireside Great Room * Spacious, Eat-In Kitchen * Upgraded, Stainless Steel, Ge Gas Range * Master On Main * Private Ensuite * Walk-In Closet * 2 Secondary Bedrooms * Large Bonus Room On Upper Level * Huge Daylight Terrace Level * Tons Of Living Space * Full Bath * Amazing Sunroom * Deck * Covered Patio * Private, Wooded Fenced Backyard MLS#6111284. Real Estate Expert Advisors Llc. Lots Of Awesome Wood Work Inside Already! Hurry!! ! MLS#8458270. 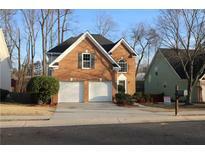 Atlanta Intown Real Estate.